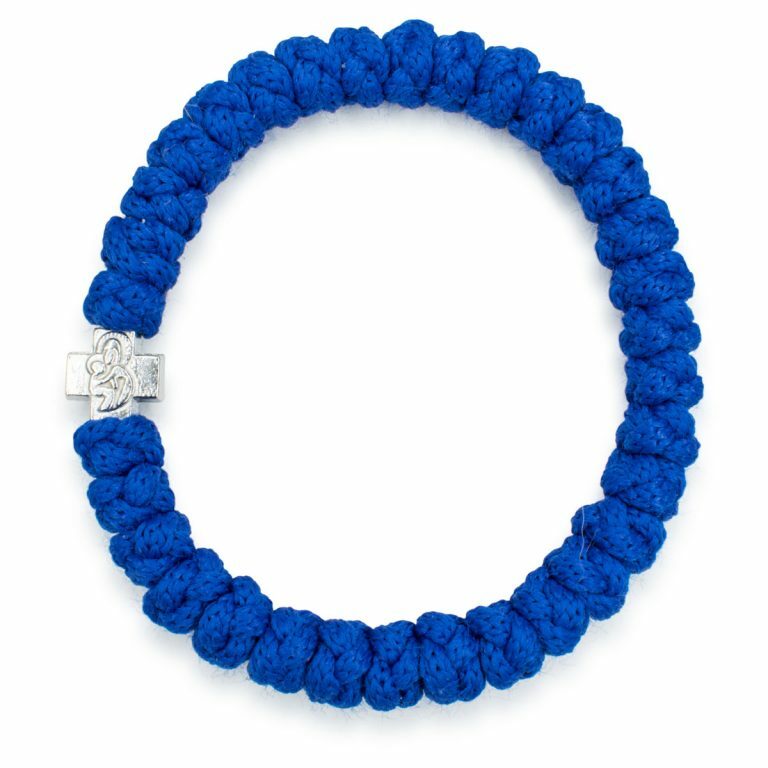 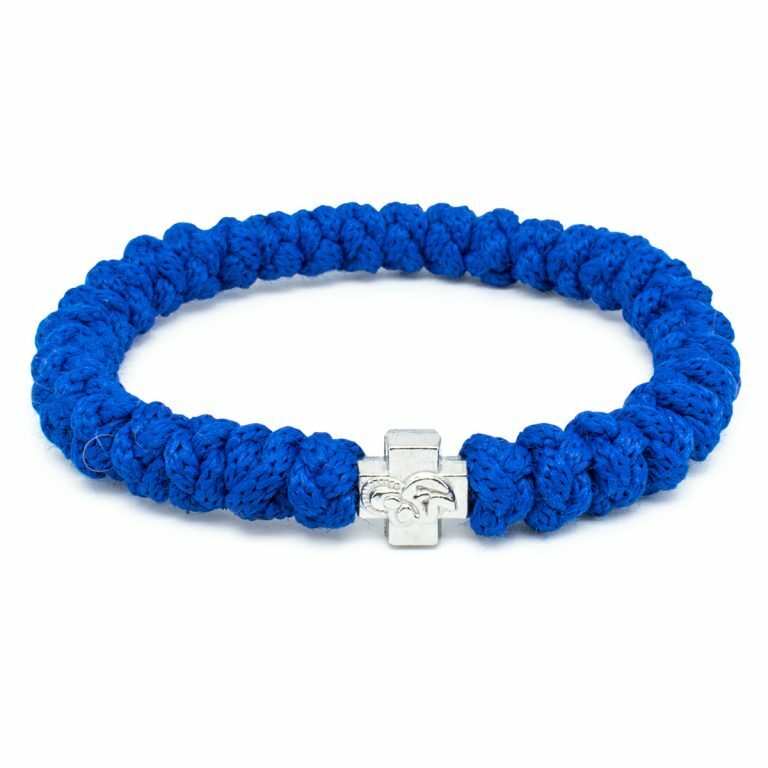 Blue the color of royalty, this beautiful blue prayer rope bracelet is handmade and authentic. 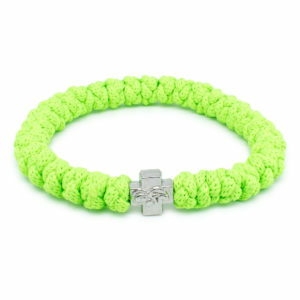 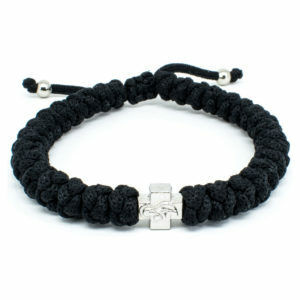 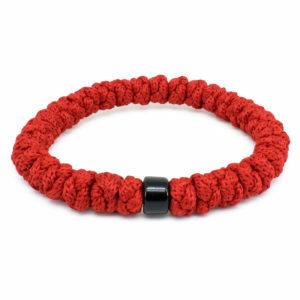 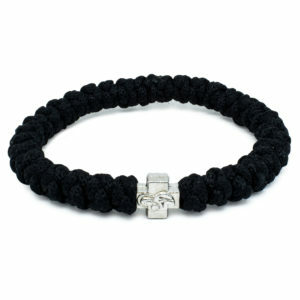 This bracelet is made out of non-allergenic rope and consists of 33 knots and one metal cross bead. 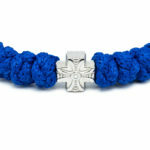 The cross bead has 2 sides, on one the depiction of Holy Mary and on the other a decorative cross.